Planning to go to Tagaytay this coming Holy Week to escape from Manila heat? Note that Robinsons Tagaytay is the only open Robinsons Mall during Holy Week (much like SM Baguio is the only open SM mall) on Holy Thursday and Good Friday. 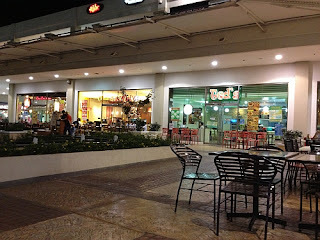 are the favorite tagaytay restaurants open also in tagaytay like Leslie's Bulalo, RSM, LZM, Kaye Ryan Grill, Sonya's Garden, Breakfast at Antonio's, Josephines Restaurant?